This year marks our 40th anniversary since the first Monaro 21 was launched way back in 1976. All is very well at Monaro today! It has been a stellar year for used Monaro sales since last fall. For the first time ever we actually completely sold out of our preowned stock for a short time this year. At the moment the demand for our preowned Monaros outweighs the supply, especially for the 27’s and 298’s. 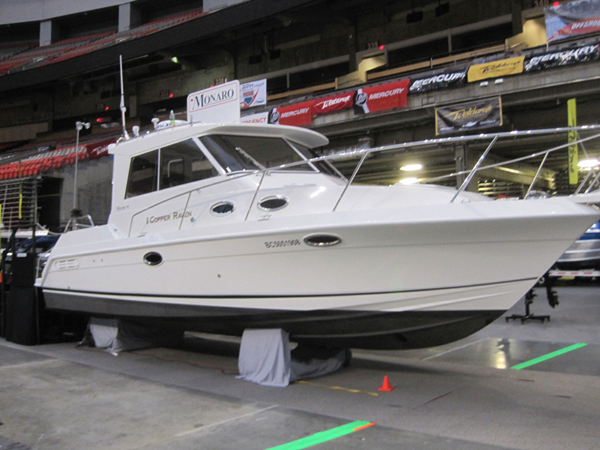 We completed construction of a very deluxe 298 late last year and had it display at the Vancouver International Boat Show in January. This boat is equipped with the latest technology in electronics far beyond what you can imagine in a boat of this size. A great review of the boat was featured in March 2016 issue of Pacific Yachting magazine. The owner, a local businessman, will be fishing and cruising the Northern Vancouver Island area all spring, summer and fall - must be nice. Just prior to the boat show we received an order for another 298 DX. This one is not quite as custom but the owner has requested a lot of similar equipment. Construction will continue through the summer. Both boats will be equipped with solar panels, which is a first for Monaro. We also retrofitted a third 298 last fall. The panels, are thin, flexible and flush mounted directly on the hardtop and will allow you to run your 12V lighting and equipment for extended periods without the need to plug in or run the engine to charge the batteries. Another 27' with diesel power will also be starting production soon for a current owner who wants to move up in size. You probably have been hearing for a while now that the all new Monaro 235 Sport is coming soon. It is a huge undertaking for such a small company and we have limited time and resources to dedicate to this project. The tooling was put on hiatus for a good portion of last year due to other large Monaro projects and construction of the 298. We started up again early this year and have made considerable progress. The fifth installment video is now on you tube. According to the marine industry we have a winner. Two of the 298’s that changed owners last year are now located in Wittier, Alaska, just south of Anchorage. Neither of the new owners knew each other and was just a coincidence that both boats went up there on the same ship. 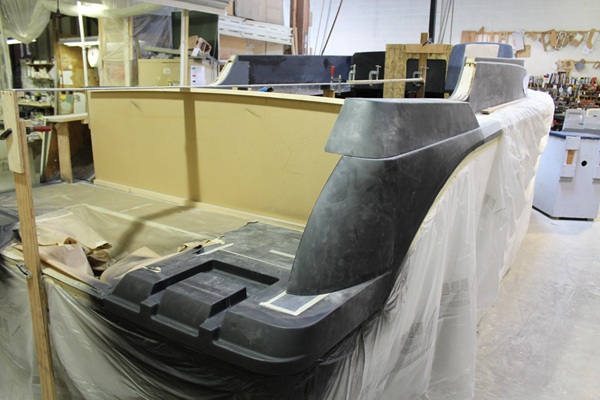 As with most companies in the marine industry it has become somewhat challenging finding skilled boat builders. With fewer fiberglass boats being built locally these days, less people are entering this trade. We at Monaro strive to hire only people with a good attitude, are really interested in the boats and we feel are more likely to stay in the industry. I’ve been told by our high ARTIC multiple Monaro owner in resolute Aziz, that this year he will be making his epic trip from Hudson’s Bay to home, approx. 1800 miles away. Watch for further details later on our website.